Supposedly, Theresa May’s calling of a snap election in Britain is all about ‘getting a mandate’ and ‘leadership’ and other such cant. In fact, the election call is entirely opportunistic and self-serving and will – regardless of the outcome – put Britain in a worse negotiating position for managing its Brexit. Lets take these elements one by one. Leadership. From the time Britain triggered article 50, a two year clock started running on the Brexit outcome. In reality, Britain is fighting an asymmetric form of warfare in these negotiations, and it should be trying to make the best strategic use of its self-imposed position of weakness. If May really cared a jot about getting the best outcome, it would be more advantageous – tactically speaking – for her to be able to counter the European demands with the rejoinder that look, the British people are divided on this, I’d never be able to sell that to the British people etc etc. In other words, she could have made tactical capital out of her current position, by postponing the point at which she seeks a public mandate. As things stand, she is cynically seeking a “mandate” from the British people before they have the slightest clue about the deal they are being asked to endorse, and will thus be flying blind into rewarding the Conservatives with another five year term. Whatever you call that ruse, it isn’t leadership. It looks more like deception. In reality, the June election outcome will (a) send her naked into the negotiations against the Europeans and (b) after exposing many of her key negotiating positions to public scrutiny for seven weeks, during the glare of an election campaign. You can bet the Europeans will be taking notes, reading the body language, and noting the disharmony between May and Scotland’s leader Nicola Sturgeon. How will this be of any advantage to Britain in its dealings with Europe? Mandate. May already has a (dual) mandate. She is the leader of the Conservative party, and she has the mandate of the Brexit referendum outcome. By asking for a blank cheque from the British public in June, she’s buying a pretty cheap mandate. Even if she wins more seats in June – as is likely, given the disarray within the Labour party opposition – it is hard to see how another 50 seat majority, or 70 seats, or even a 100 seat margin, will materially change her negotiating power with respect to the European Union. The gains for her are entirely political, and belong entirely to the realm of British domestic politics. 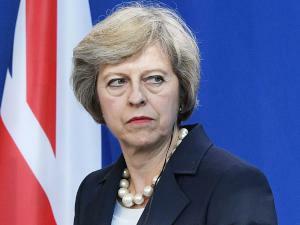 She will have induced the British public to give the Tories a respite until 2022 – because she knows she could not go back to the public in 2020 after the dismal deal on Brexit has been struck, and expect to be re-elected. The snap election is a mechanism to avoid being called to account for failure, for as long as possible. Again, whatever you call this, it isn’t leadership. But if polls are missing election outcomes by 5 or 6 points on average, that means the margin of error (or 95 percent confidence interval) is very large indeed. Specifically, a 6-point average error in forecasting the final margin translates to a true margin of error of plus or minus 13 to 15 percentage points, depending on how you calculate it. Exactly how sure Conservatives are of retaining a majority of seats in Parliament is a more complicated question than who will take the most votes. This stuff is tricky to model — as we’ve learned the hard way — because the results are greatly dependent on where the vote is distributed and how third parties perform. The Scottish National Party is likely to continue to control the vast majority of the 59 seats from Scotland, which gives Conservatives less margin for error in the event the election tightens. Bookmakers give 20-to-1 odds against a Labour majority, but only 5-to-1 odds against a hung Parliament — about the same odds that many of them offered on “Leave” winning the Brexit vote last year. None of this should be taken to suggest that Jeremy Corbyn has any hope of winning the June 8 election. Yet it does indicate that a level of risk exists for May. Ultimately, what size majority would justify this election gambit? If even a puny opponent like Corbyn can hold her to say, a seventy seat majority, wouldn’t that have to be taken as a less than gilded “mandate?” The more crucial point: even if the snap election does deliver May a large parliamentary majority, this will still do precious little to enhance Britain’s ability to minimise the fallout from Brexit. The Europeans may choose not to be impressed. Partly because while Britain diverts itself with an election, the clock is continuing to tick on the article 50 countdown to a ‘take it or leave it’ deal. Interesting comments by former PM Jim Bolger about the failure of neo-liberalism, and the value of having a stronger trade union movement. Coming from the guy who ended compulsory unionism, that is quite some admission. Anyone covering politics in the late 1980s would have been aware of Bolger’s personal disdain for the ideological zeal of colleagues like Ruth Richardson, Derek Quigley etc Bolger would tend to depict them as people who had no idea how the other half lived, and would talk privately about the political backlash likely to ensue if/when such policies were put into practice. As soon as he practically could – ie in the wake of her draconian Mother of All Budgets – he got rid of Richardson as Finance Minister. That’s not to say Bolger was ever a closet left-winger. He and his friend Bill Birch eventually pushed through the Employment Contracts Act that decimated the trade union movement – thereby atomising the workplace in a way that has consistently denied New Zealand the ability to negotiate socio-economic outcomes in ways possible for Australia and Germany, that have treated trade unions as being essential partners in their economic discourse. Instead here, employers and the public in this country have been encouraged to demonise unions. Given Bolger’s comments, this does mean that both of the Prime Ministers who presided over this country’s devastating romance with neo-liberalism – David Lange in the 1980s and Jim Bolger in the 1990s – have renounced the religion that they did so much to impose upon the rest of New Zealand. Given that we still have a government that seems wedded to the failed neo-liberal mania for budget balancing as an end it itself… maybe that alone is reason enough for regime change this year. Unfortunately though, the Greens and Labour have signed up to the same economic settings. New Zealand seems to be a Titanic that’s intent on hitting the same iceberg, over and over and over again. My skin all turns silver….